Ready to spend some time in New York? Well, this city of dreams never fails to impress, but a good hotel stay can take your trip several notches higher. It’s like the hustle and bustle is all more exciting when you get a luxurious good night’s sleep! 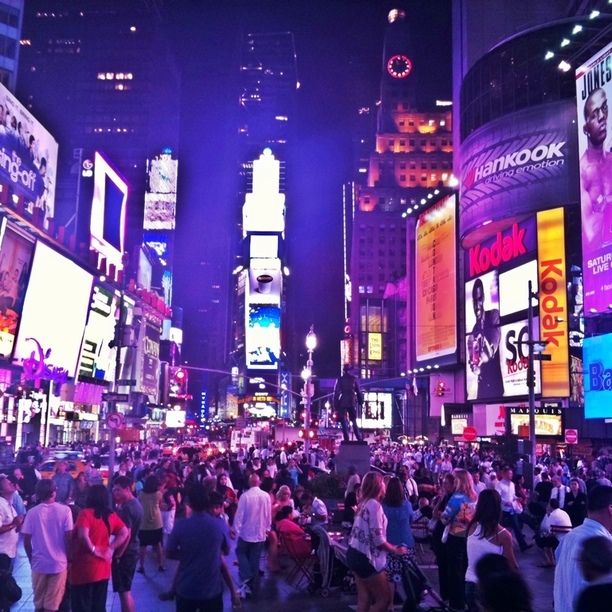 The buzz is best felt in the heart of the city, and W New York is right there at Times Square for the stay of your life. Packed with modern amenities like plasma TVs, DVD players, wireless internet, and iPod docking stations, the rooms are built to spoil you with luxury. With hip lighting, blackout curtains, keyless room entry through phone apps, and hypoallergenic bedding, you’ll experience luxury at its finest. The spacious bathrooms with rain shower heads are a treat for around $374 per night. The Blue Fin restaurant serves meals where you can enjoy seafood while you listen to the soothing tones of live jazz music. With a fitness centre and Living Room Lounge for a taste of nightlife, the hotel is a wonderful choice near all the tourist attractions. With all the rooms recently renovated with panoramic views of the Hudson River and New York City, this hotel offers the most spacious rooms in Midtown Manhattan. The rooms are furnished with contemporary furniture, flat screen televisions, refrigerators, radios with alarms, MP3 players, and laptop-size safes. Alongside a fitness center and discount passes to New York Sports Club, the hotel offers Wi-Fi, laundry facilities, and a bar/lounge. The location near Madison Square Garden, Empire State Building, Broadway Shows, and other tourist attractions makes the hotel a perfect find for around $300 per night. This newly renovated hotel with vibrant décor inspired by jazz music has suites named for famous residents, equipped with televisions, cordless phones and blackout window treatments. The hotel is near Grand Central Terminal and most of NYC attractions with two on-site dining options and a Starbucks to satiate the guests’ taste buds. The rooms are cozy and cost around $309 per night, while the spacious specialty suites cost around $409 per night. Great deals with spacious rooms makes this hotel a perfect choice for business travelers and vacationers. The roomy bathroom, flat-screen television, compact refrigerator, plush signature bedding, complimentary Wi-Fi, and climate control provide a luxurious stay on a budget. Located near Chelsea Piers, this prime location hotel offers complimentary breakfast and easy access to tourist attractions with room rents starting at $200 per night.